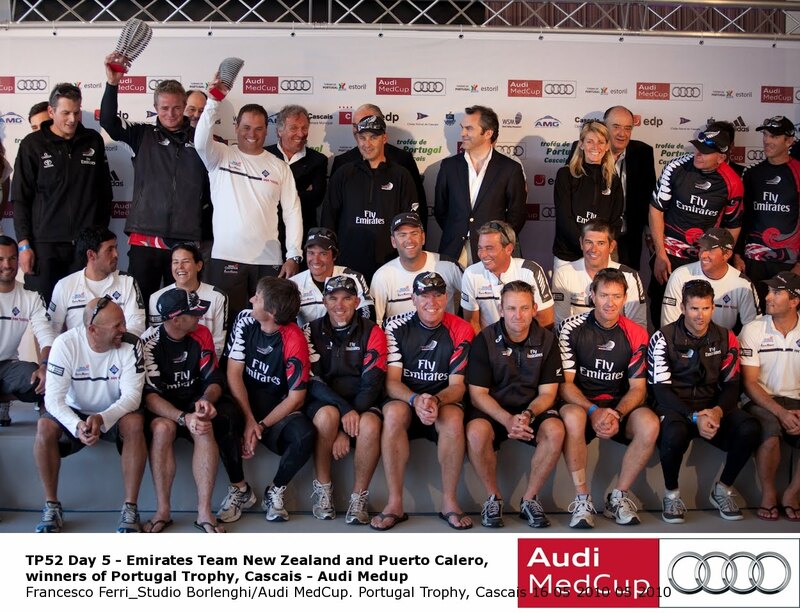 Emirates Team New Zealand and Puerto Calero win overall at the Portugal Trophy Cascais. 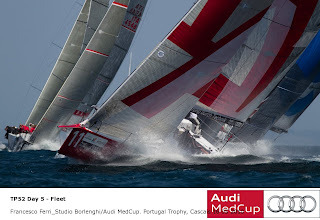 The current Audi MedCup champions proved they have lost nothing from their competitive edge as they both opened their respective 2010 season with resounding wins in the Portugal Trophy, Cascais. 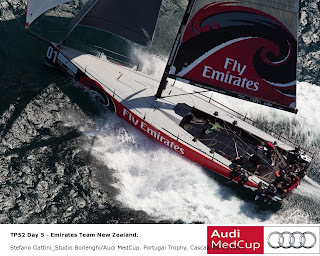 After another day of muscular breezes which produced fantastic racing conditions off Sintra, just to the west of Cascais, Emirates Team New Zealand (NZL) and Puerto Calero (ESP) had both set up unassailable regatta leads, clinching their respective trophies with a race to spare. Through the five events of the 2010 Audi MedCup season, regatta trophies are a bonus, and this is Emirates Team New Zealand’s fifth successive regatta title in a row, but the dominant Kiwi crew will be even more content to leave Portugal with a comprehensive lead of 20 points over Franco-German Circuit newcomers AudiA1 powered by All4ONE. 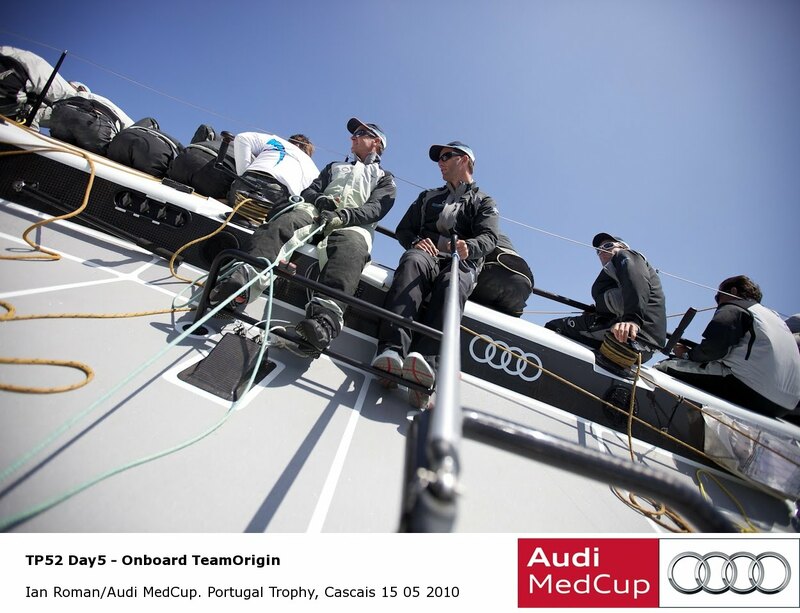 AudiA1 powered by All4ONE may have finished with a sixth in the final race of the regatta, but the team which is headed by four times Olympic Jochen Schuemann (GER), finished consistently in the top half of the fleet through the second half of the regatta to prove they have the talent and the tools to be podium contenders. It is Schuemann’s best podium finish on the Circuit, bettering his third in Puerto Portals in 2008 with Platoon Powered by Team Germany. The tough conditions produced a typically bruising final day which placed big demands on crew work and equipment. 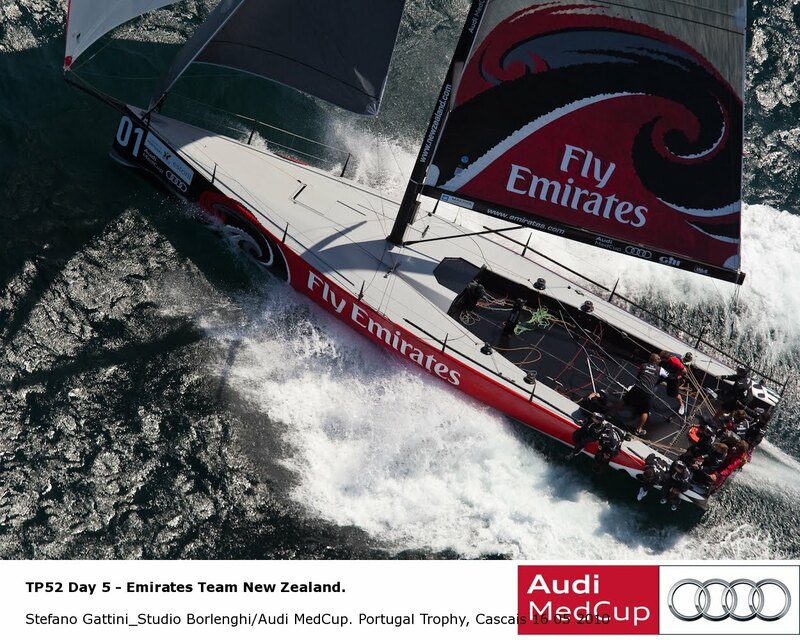 Emirates Team New Zealand proved, once again, a cut above the rest in the breeze but there were gennakers shredded again today and several teams not managing to convert on the final day, due to mechanical or sail failures, whether or not they were the product of crewing errors. The British America’s Cup crew lost their gennaker sheet under the boat during the first race to finish 10th. 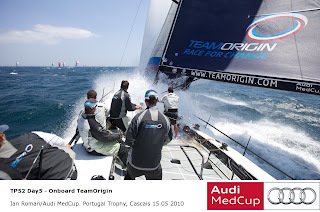 For some of the time today Ben Ainslie (GBR) and the TeamOrigin (GBR) crew looked like an truly exceptional unit, leading again during the first race of the day, but they still have a speed deficit downwind which needs rectifying. And Artemis (SWE) who were challenging Audi A1 powered by ALL4ONE for second overall damaged their bowsprit when they tussled with TeamOrigin (GBR) on the start line of the second race today and lost the use of their gennaker for some of the time. For the local team on Pedro Mendonca’s (POR) Bigamist 7 (POR) there was a boost to their morale when they won the first race of the day, heading Emirates Team New Zealand across the finish line to win, Race 9, the Cacscais based team’s ninth Audi MedCup win since getting Bigamist 7 last year. So, too, the 2008 Audi MedCup TP52 champions Quantum Racing (USA) leave Portugal with their belief restored that they can be serious contenders this season, not least by winning the last race of the regatta. 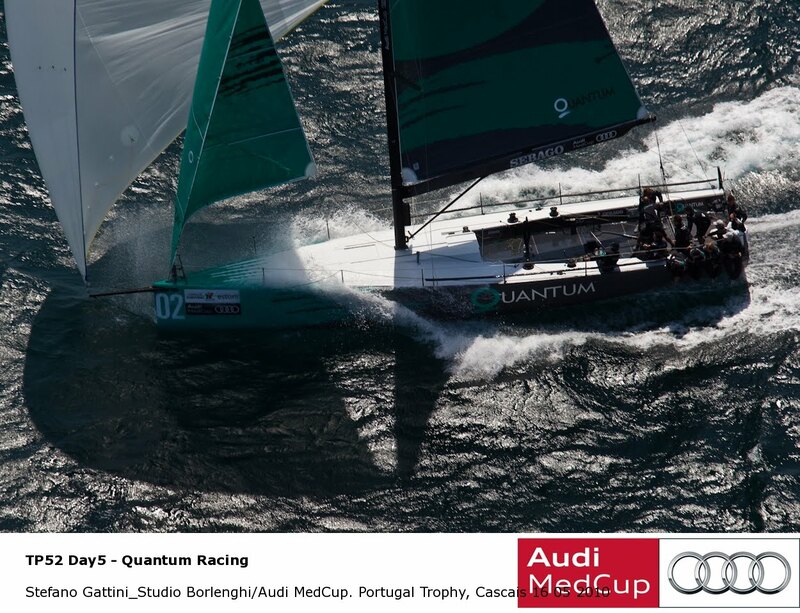 The absence on Thursday and Friday due to injury of skipper helm Terry Hutchinson (USA) tells its own story as Quantum Racing won Wednesday’s first and today’s last race of the regatta. Without question Cascais on its first time on the AudiMed Cup Circuit has delivered as one of the best venues yet on the Audi MedCup Circuit offering a full programme of 10 races for the TP52 Series and nine races for the GP42 in winds which must have averaged over 15 knots. 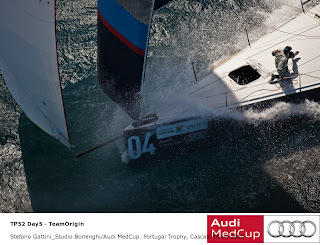 Showing yet another display of near-flawless sailing in stronger breezes, Puerto Calero (ESP) scored a first and second on the final day to win this first battle in the five regattas long war that is the 2010 GP42 Series. 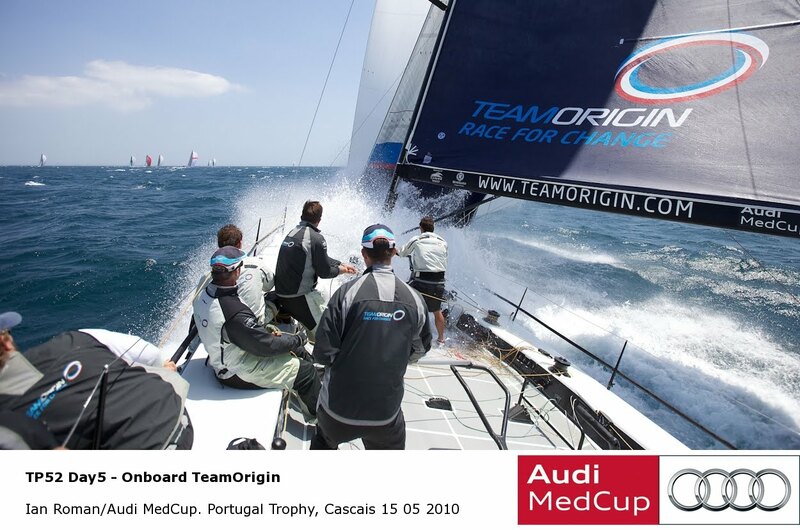 Their consistency, speed and error-free sailing in the challenging 20-25 knot conditions seem suited to this Canarias-based team. Puerto Calero’s wide-body 2009 Botin & Carkeek-designed hull design was perfectly suited to the fresh breeze. Madrid-Caser Seguros (ESP) won the last race today and finished this regatta as runner-up. The GP42 fleet was cut down by one in today’s racing by the unfortunate damage sustained by Peninsula Petroleum (GBR) when their masthead crane snapped within an hour prior to the start of the first race. Nonetheless, the racing among the remaining four was still intense, with AIRISESSENTIAL (ITA) making great starts and progress upwind to always round the top marks in second, but then struggling a bit downwind in the fresh conditions, and the whole pack within seconds of each other at each turn. 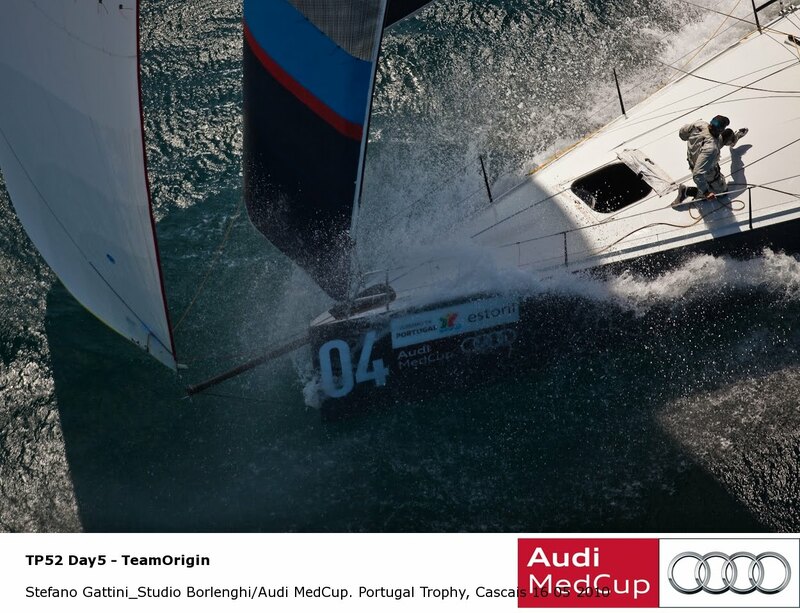 The next regatta on the Audi MedCup Circuit is the Marseille Trophy from June 15th to 20th.